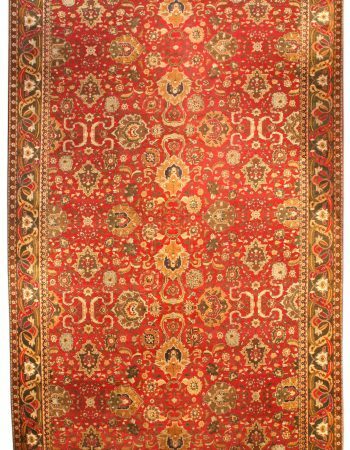 Kerman rugs (also known as Kirman rugs) are a perfect pick for all seeking truly high-end Persian carpets. The antique Persian Kirman rug before your eyes embodies both refined workmanship and sublime artistic taste. 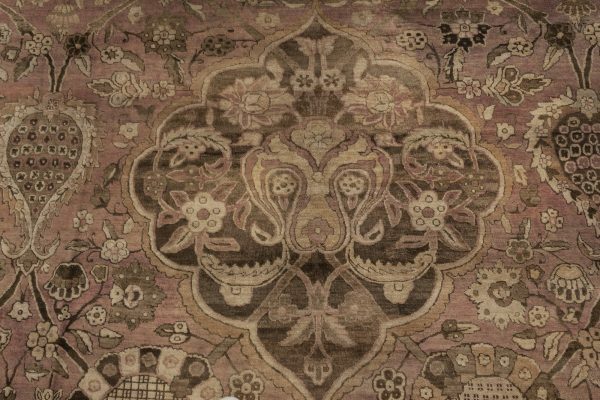 Its magnificent body carries an elaborate botanical design featuring bold medallions, palmettes, lotus flowers, meandering vines and lush florals. 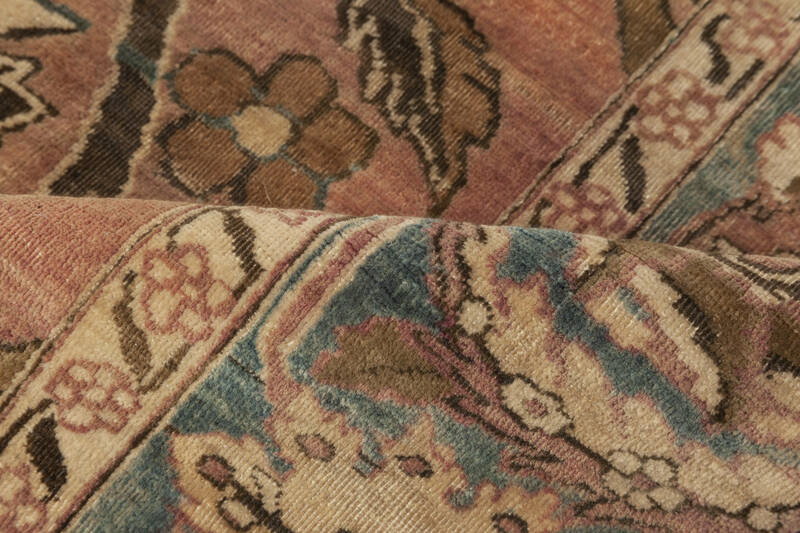 The main and secondary borders are kept in the same spirit gently embracing the composition on the main field. 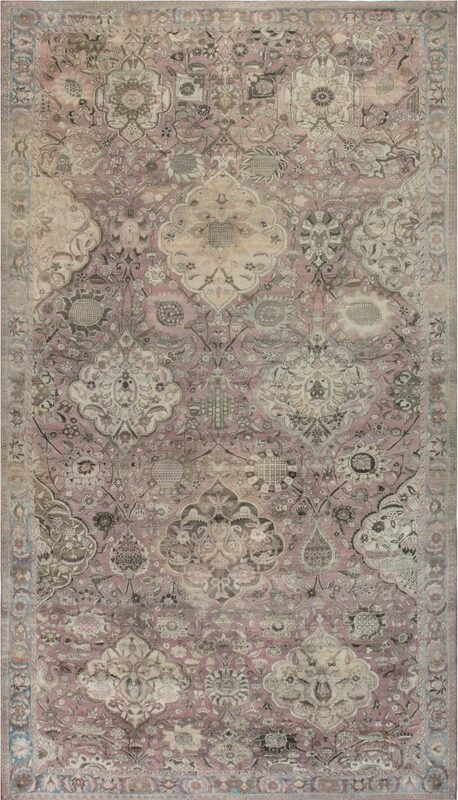 To balance the thriving abundance of motifs, the color palette bases on delicate shades. 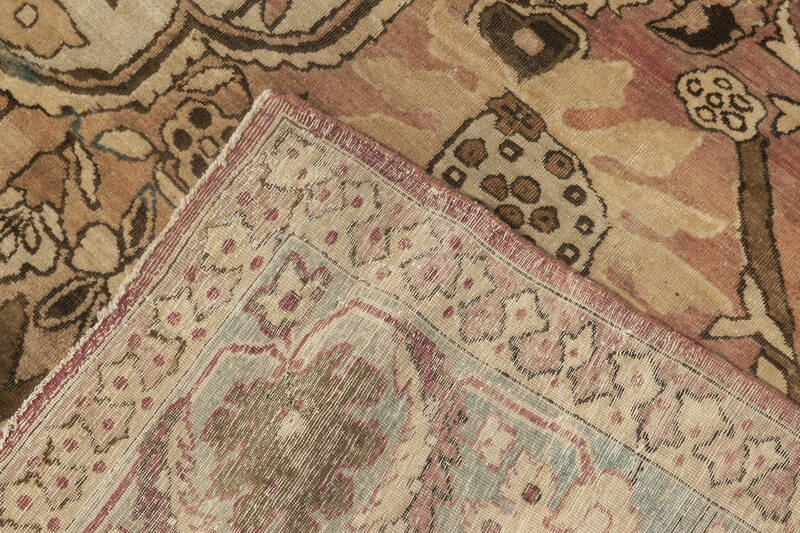 Soft rose, beige, taupe and brown are lightly invigorated by a reserved application of teal. 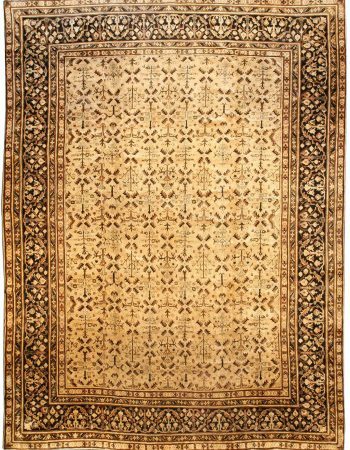 Such a design will bring a classy and palatial touch to a wide array of interior arrangements, from traditional to contemporary. 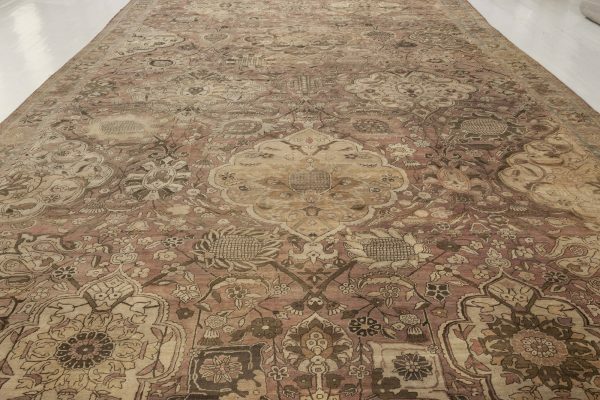 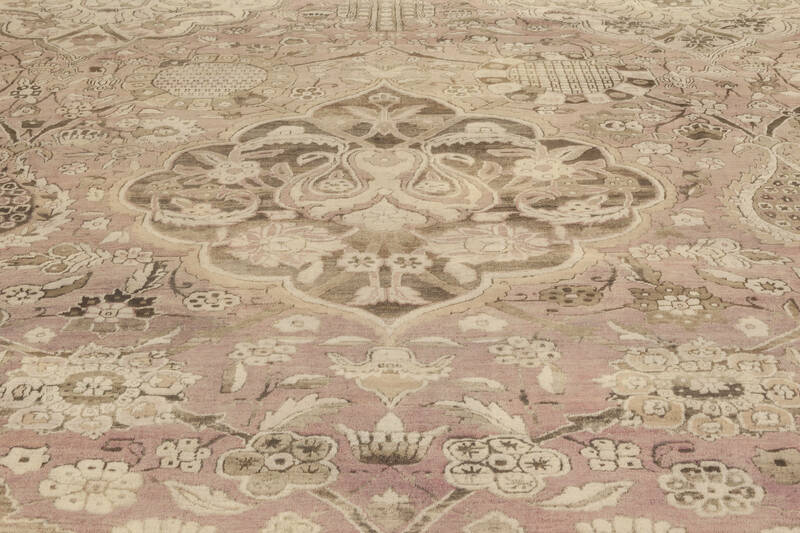 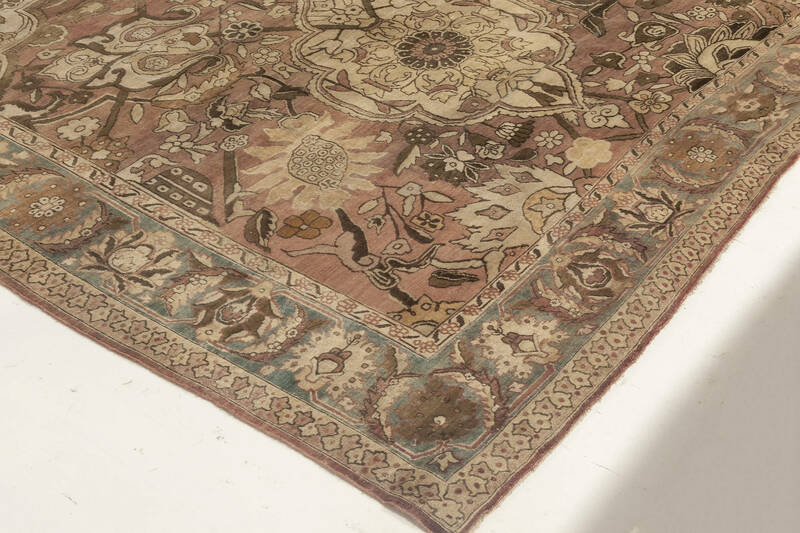 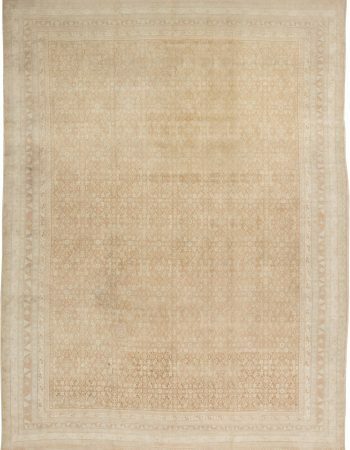 As befits antique rugs from Persia, this one can boast of absolutely impeccable workmanship. 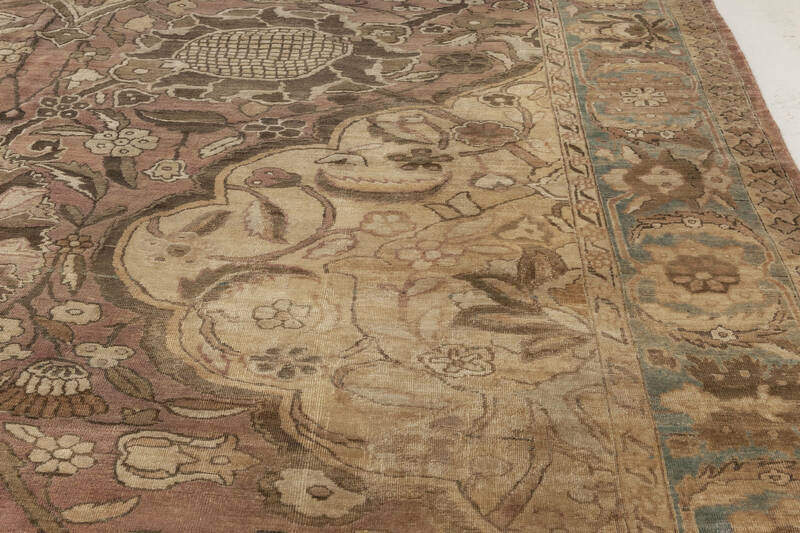 It was thoroughly hand-knotted of the finest wool which resulted in durability as well as soft and luminous pile. 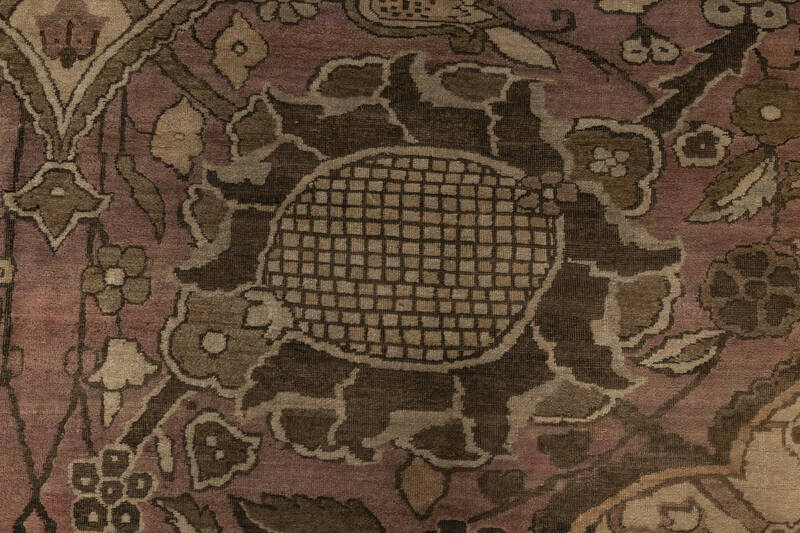 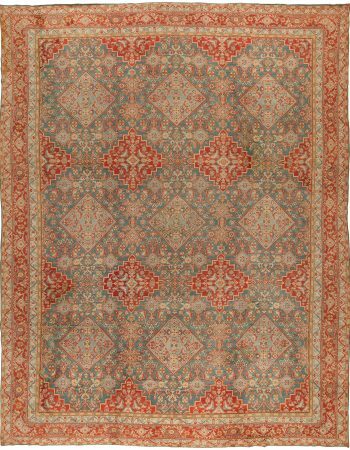 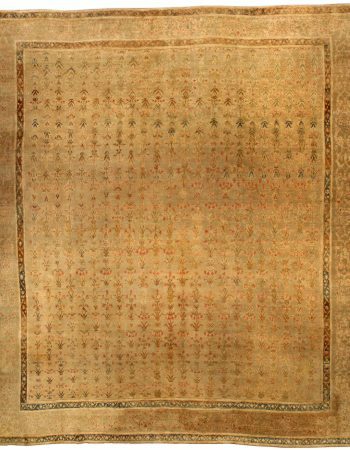 Despite its venerable age, this antique Kirman rug looks as if it just came down from the looms. Under the condition of proper maintenance, it has a chance to serve its owners for generations without the slightest signs of wear, bringing in its irrepressible splendor.